After a diagnosis of Type 1 Diabetes most children will start on Insulin Injections straight away. Despite what people might think, this is not just required once a day, in older regimes the minimum number of injections was 2 daily. Nowadays it’s more likely they will have at least 4 injections a day. 1 before each meal using fast acting insulin and 1 usually before bed that contains background insulin. Many children find injections very difficult especially to begin with. Though fortunately Insulin Pumps are now available to use instead of injections, giving patients more choice than ever before. In the articles below you will find out more about Injections as an Insulin Regime, along with more information on alternatives. 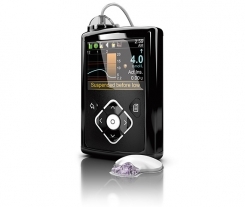 Insulin Pump VS MDI. Which insulin regime gives the best control to children living with Type 1 Diabetes? Our study compares HBA1C results in the 2 groups. It’s a dilemma for many parents of children with Type 1 Diabetes, at some point in their journey, do they move from Multiple Daily Injections to an Insulin Pump.